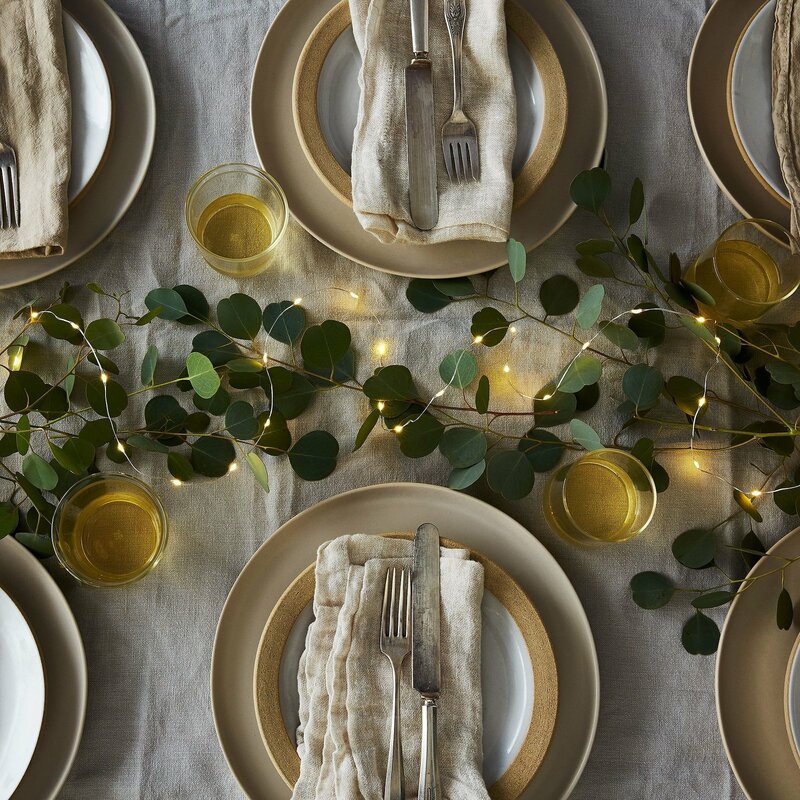 Lend a fairytale-like glow everywhere from the garden to the living room during your next gathering with these dew drop lights. The LED bulbs cast warm, white light across anything in their paths, and each set of lights comes with a remote, so you can turn them on or off without skipping a beat. Choose from 3 different lengths of copper or silver wire that extend from 6 feet to 16.5 feet, or get a variety pack that includes all 3 lengths. Each set of lights comes with its own remote, which has 8 different settings, as well as an option to dim or brighten. The set of 3 comes with 3 remotes, though you can use any remote on all of the included lights. Settings can be adjusted with a remote or on the battery pack itself. Made of: Silver or copper wire, plastic battery box, warm white LED bulbs, plastic remote. Size: Set of 3. Options include a 6' long wire (36 bulbs), a 9' long wire (50 bulbs), and a 17' long wire (100 bulbs). The variety pack includes one 6', one 9' long, and one 17' long set.